An unread message pops into the recruiter’s inbox – New Application Received. She clicks on the email and opens up your resume. What happens next? The recruiter is going to spend 6 – 10 seconds scanning your resume with one goal in mind: to determine whether your application deserves a closer look or if it belongs in the trash. How is she going to determine if you’re a better fit than the hundreds of other applications she received for the role? The skills on your resume. 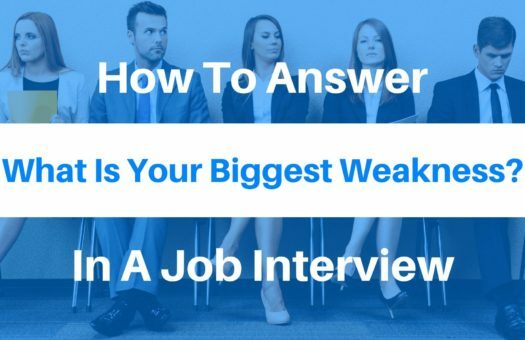 When it comes to that first impression, the one that determines your resume’s fate, the skills listed on your resume are absolutely critical to beating the competition and landing the interview. The problem is, most advice on crafting your resume skills is outdated and ineffective. 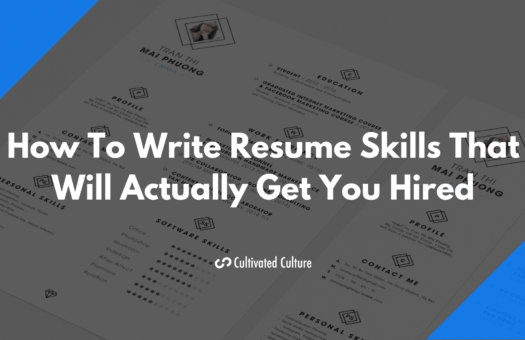 All the articles pitching you buzzwords and phrases to add to your resume might have worked 5 to 10 years ago, but people caught on and now everyone’s resume skill section looks exactly the same — which is actually good news for us. How do I know this stuff works? 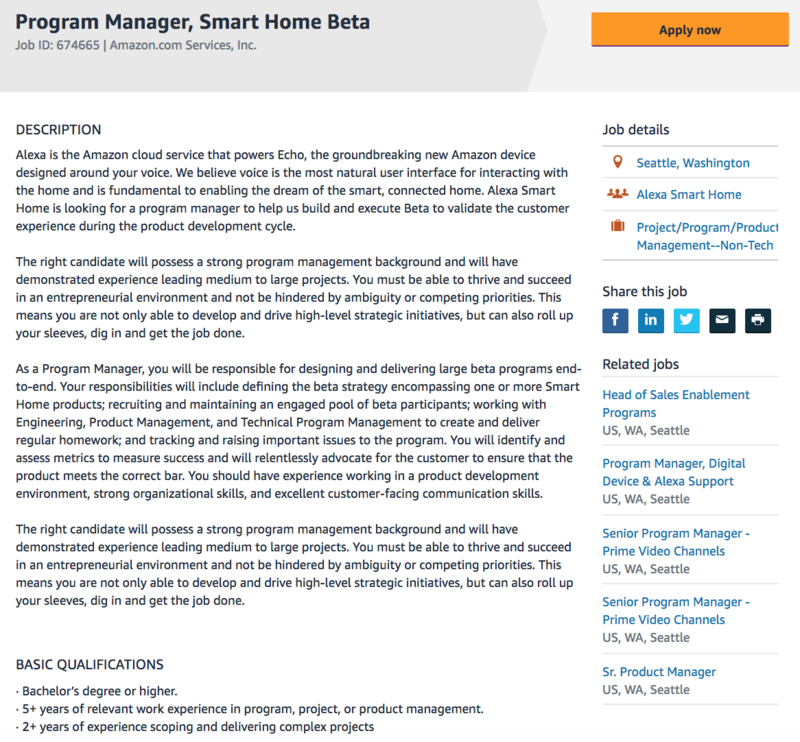 I personally used it to land jobs at Google, Microsoft, and Twitter without any connections or traditional experience in the tech space. 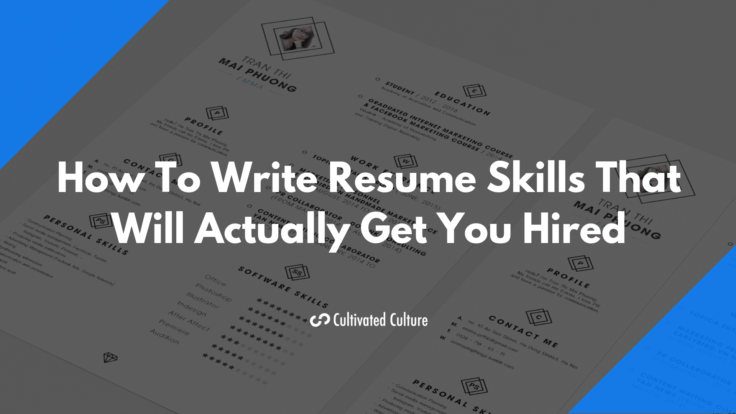 On top of that, I’ve had thousands of resumes come across my desk here at Cultivated Culture where we’ve done extensive testing on every aspect of there resume from the skills section, to the objective, to the template itself. The strategies you’re about to learn have landed hundreds of people job offers at places like Google, Facebook, Apple, Amazon, Goldman Sachs, Deloitte, Sequoia Capital, ESPN, and more. If you’re ready to replicate those results, let’s dive in! 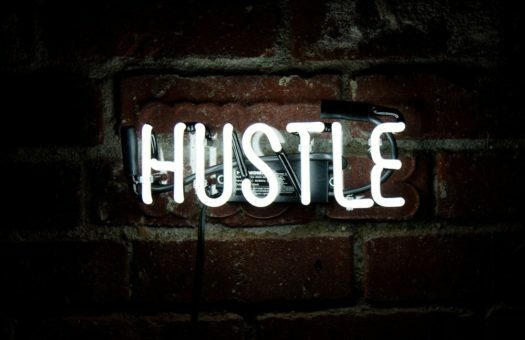 A common misconception you’ll find amongst job seekers and other career blogs is that you simply grab a “skill” from the job description, find some relevant jargon like “Team Player” to drop in, and — voila! — the interviews start pouring in. That may have worked in the past but we’re living in a new era. It’s not that simple anymore. Yes, the right language is critically important (and we’re going to cover that in more detail) but if you’re just grabbing words and phrases that sound nice from posts like 30+ Best Skills To Put On Your Resume, you’re going to end up sounding exactly like every other job seeker. You don’t want to be another “quick learner with a passion for collaborating with others to solve problems” because that really doesn’t tell your employer anything new. They’ve already seen a million of those come across their desk. 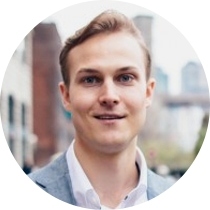 Strategy #1 – We’re going to use a few techniques that allow us to anticipate the exact skills the recruiter and hiring manager are specifically looking for in the resumes they read. Strategy #2 – We’re not just going to tell employers about our skills – we’re going to show them. We’ll leverage updates in the company’s own hiring process and the technology that’s available to us to prove out our value before we ever set foot in the same room or hop on the phone with the employer. While everyone else is injecting buzzwords into plain text PDFs, we’ll be paying close attention to the way our sentences grab the reader and then offer them tangible proof that our skills go above and beyond what’s expected for this role (even if you don’t feel 100% qualified, I’ll show you how to work around that in just a minute). What Skills Should You Put On Your Resume To Make It Pop? We’re not just stopping at buzzwords! You’ve probably heard that first impressions are everything. This is especially true for resumes! The average hiring manager spends six seconds scanning your resume with one goal in mind – is this person qualified? Imagine how happy they’ll be when they see the exact words, phrases, and skills they had in mind right there on your resume. 2. Highlight all of the text pertaining to the role and copy it to a Word document. 3. 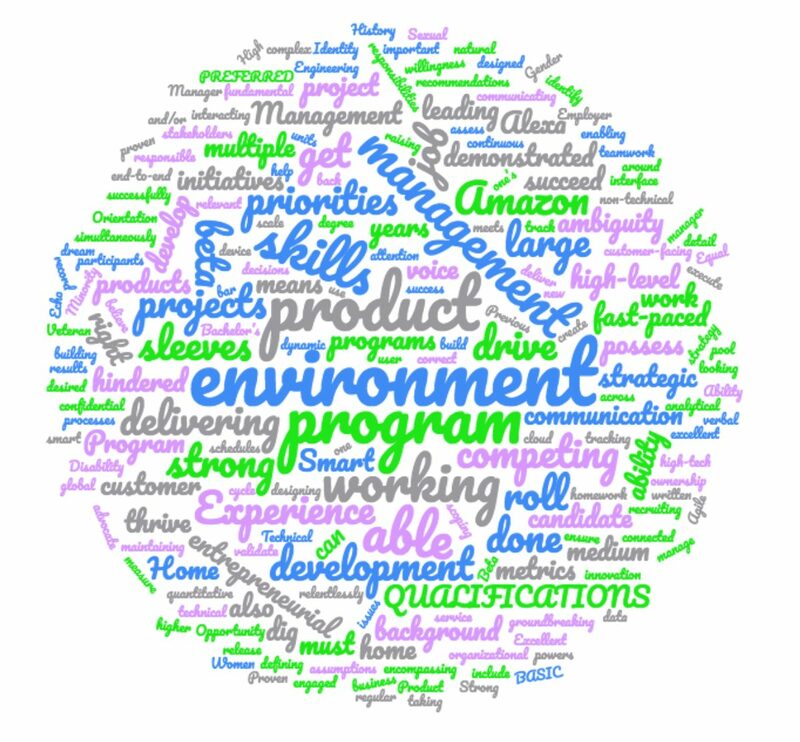 Go to WordClouds.com, click Word List, then click Use Paste/Type Text Dialogue, paste the job description into the tool, and hit Apply. Now we have a concrete idea of which keywords are most important to the employer, but we still need context. To find it, go back to the job description and do a search (Ctl + F on Windows or Cmd + F on Mac) to find each of the words. Study their context – what words surround them, what is the overarching sentence asking for, etc. We want to make sure to add these skills to our resume in the same context. Leveraging job descriptions is a great way to understand what the company is looking for, but JDs are limited to the copy the hiring managers decide to add in. They typically don’t include any nuances which could be the key to gaining an advantage and winning the job. If you’re ready to go above and beyond, you should try to find people who are already working in the role you want and reach out to them. You can easily find these people by searching for Job Title + Company on LinkedIn. Then you can find their email using a tool like Hunter.io. Reach out and ask them for a quick call. Once you get on the phone you can chat with them about necessary skills, nuances of the role, and anything else prospective hires should be aware of. 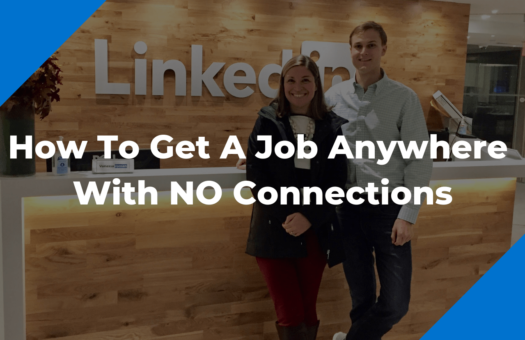 For a step-by-step walkthrough of finding contacts and building relationships, check out this article. See how each one of these skills is cut and dried? You either know how to program in C or you don’t, and it’s pretty easy to objectively test your skills. Hard skills are what employers initially look for on your resume to see if you’re qualified for the job. For example, if you’re looking for a Graphic Design job that requires proficiency in Adobe Photoshop & Illustrator, the hiring manager is going to scan your resume to see if you’ve had experience with those tools. Due to the complexity of most jobs today, you’re likely going to need to weave multiple hard skills into your resume. I’ll show you how to do that in just a second. Your soft skills are what hiring managers are going to seek out after your hard skills get you past the initial qualification scan. If you’re able to effectively demonstrate your soft skills on your resume, you’re going to get a huge boost over candidates who are only qualified for the objective stuff. It’s important to note that having concrete evidence of your skills, both hard and soft, is critical to getting hired. Anyone can say they’re a “problem solver” or “proficient at Facebook Ads,” but real results speak for themselves. If you don’t have any experience with the skills you need, start by checking out this guide on learning a new skill in 11 steps. What does this even tell the person reading your resume? Or maybe Social Media catches the employer’s eye. Do your skills consist of your daily use of the platforms to chat with friends, have you built an Instagram page that’s racked up 30,000 followers in a small niche, or are you somewhere in between? There’s absolutely no way to tell! Which makes it incredibly hard for you to pass the eye test, let alone stand out. It’s safe to say that this is by far the worst way to present your skills on your resume. Ok, but what about those fancy charts people use? The new trend of modern resumes has tried to take a step towards improving on the old school method. The problem is, these chart-style skill sections are completely subjective! Going back to our Excel example, you might be the formula hot shot in your office. You help people with their vlookups and conditional formatting all day long! 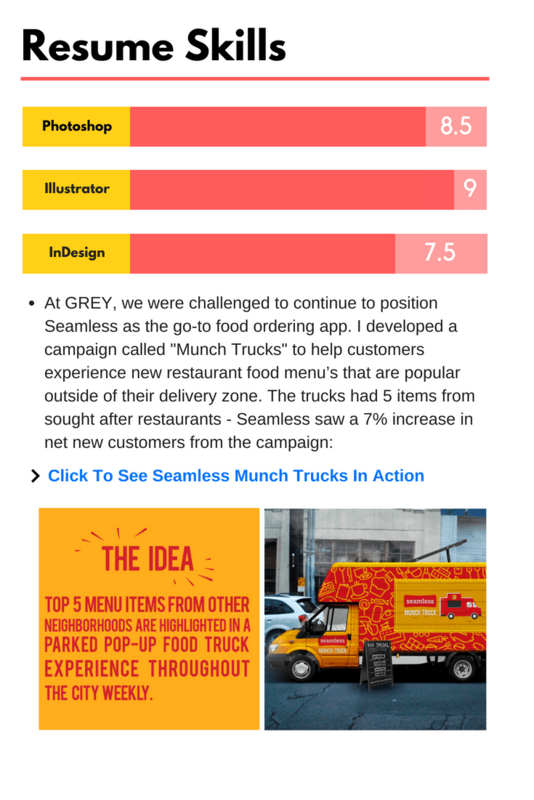 So you grade yourself as an 8/10 on your bar graph – that hiring manager would be crazy not to take you, right? These charts might look fancy but they do absolutely nothing to give your potential employer a concrete idea of how good you are at certain skills. Again, it’s going to be tough to stand out that way. At this point, you’re probably saying OK Austin, so how exactly do I go about showcasing my skills if neither of those methods are viable options?? While I ragged on the modern bar graph design above, it’s actually a decent starting point for grabbing the hiring managers attention. The charts are colorful and occupy a decent amount of real estate, which definitely catches eyes. 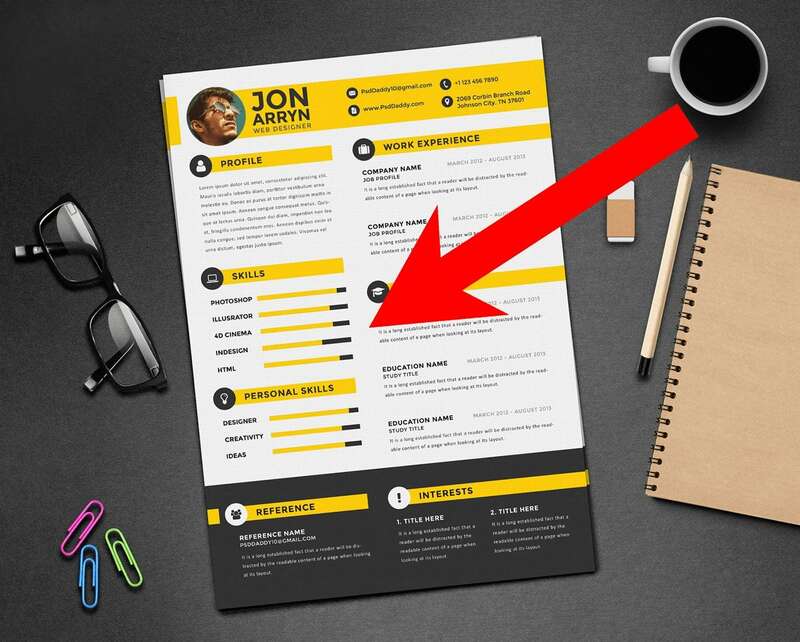 Whether you put them on the bottom or the side of your resume is up to you. 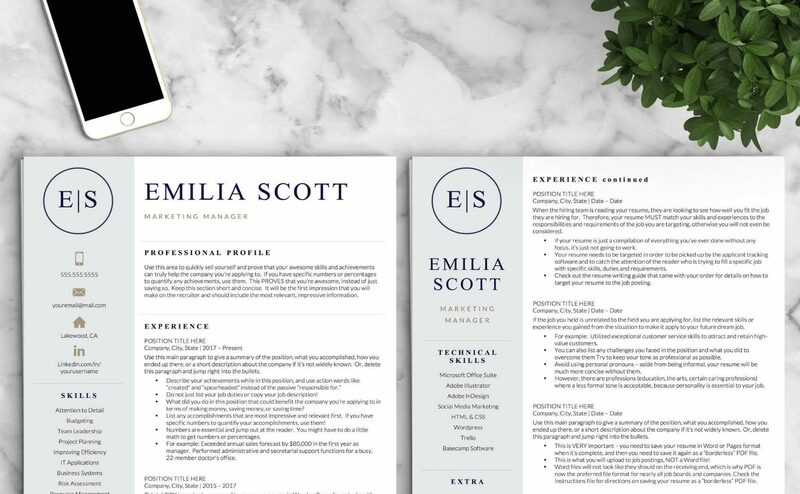 Today, most resumes are submitted in some sort of digital format (I always recommend PDF) which means we can leverage the ability to include rich media into those resumes. While some people’s minds might have jumped to GIFs, videos, etc. we still need to account for the Applicant Tracking Software that might be scanning your resume if you apply online. In my opinion, links are the best solution. His Ruby on Rails skills also seem to be fairly decent. If I check out that portfolio, it looks like he built Powur.com using a combination of Ruby and Angular. Another awesome showcase of exactly what 70% means to him. Boom! Now anyone reading Matthew’s resume on their computer can easily identify which full stack skills Matthew excels at and then go look at real world examples of that work. 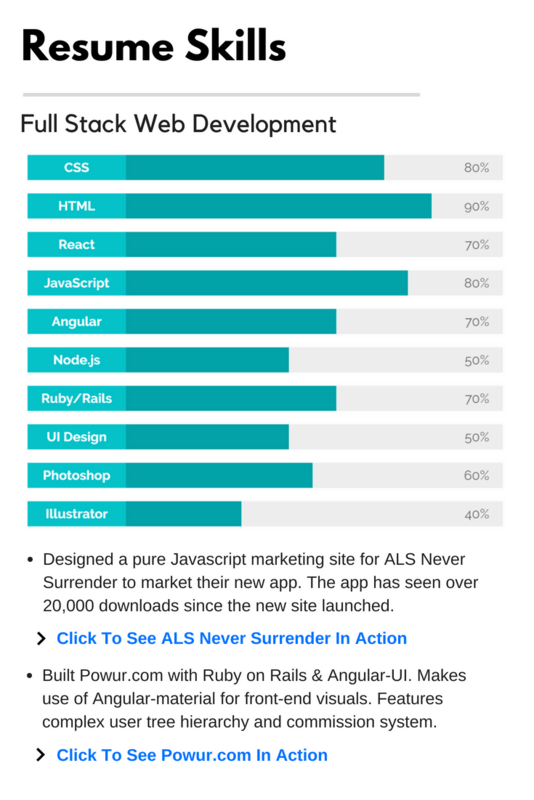 If the hiring manager likes what he sees on the ALS and Powur sites, Matthew is going to be light years ahead of the competition. On top of that, the text below our bar chart is scannable by ATS systems and includes a bunch of keywords that relate to full stack development, upping Matthew’s chances of beating the system. It’s a huge win-win. A turn-key Twitter tool that leverages contests to create a social chain reaction. His tech was leveraged by musical artists Lady Gaga and BOB. By now you may be thinking that all of these look pretty cool, but what if you aren’t a full stack wizard or graphic designer with a bunch of cool projects under your belt? How are you supposed to leverage this? That’s what this example is all about. One of the most effective strategies I mandate for all of my students is the creation of a Value Validation Project. Validation Projects are deliverables that illustrate your value as a candidate by solving some sort of need for the company. It could be providing solutions to a problem, ideas for improvement, customer feedback on a product, or a project you’ve worked on that solidifies your experience as it relates to the role (both Matthew and Andrew’s projects from the previous examples could be a great value validation offering). 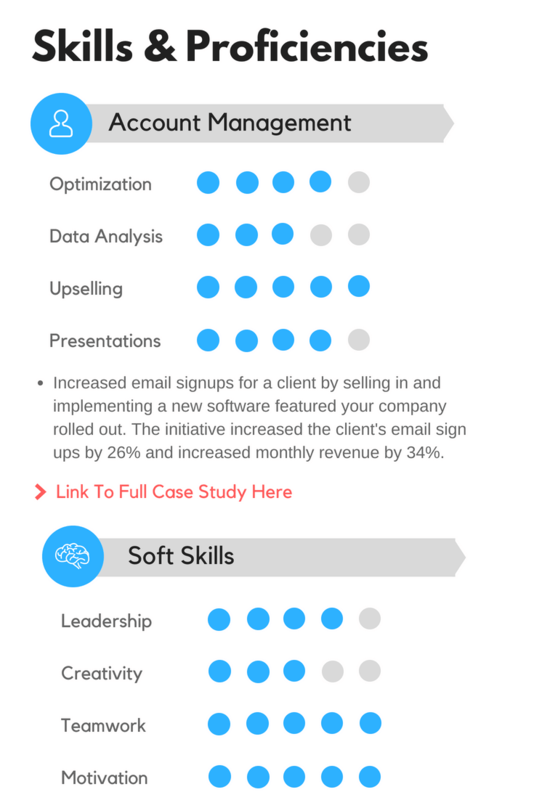 Accomplishment: An initiative with a top tier agency aimed at increasing email signups for a client by selling in and implementing a new software featured your company rolled out. 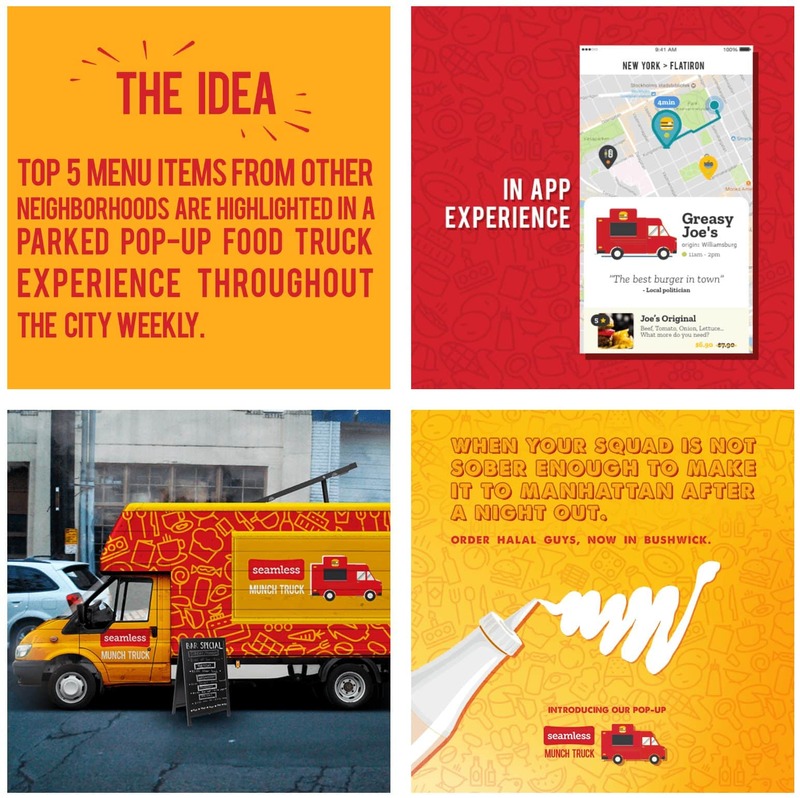 The initiative increased the client’s email sign ups by 26% and increased monthly revenue by 34%. Project Idea: Create a case study. Write down everything that happened from how you came up with the idea, how you pitched it, the client’s baseline metrics, challenges you faced, how you implemented, and the results you got. Then take all of that content and use Canva’s infographic templates to create a one sheet case study. Save it to a PDF and upload it to your Google Drive with share settings on public, then include the link in your resume! Accomplishment: Feedback from the previous year’s company poll showed that productivity was suffering due to lower team morale. The company grew rapidly and employees felt a lack of community at work, making it hard for them to learn and share knowledge. You decided to leverage a few tactics you found in an article about the Philadelphia 76ers culture. You allocated 15 minutes in every team meeting to have a team member present on any topic they wanted, and required that at least 3 people on the team ask questions. The next mid year pole showed a 273% increase in morale and a 5x bump in productivity. Project Idea: Write a blog post about the experience. Head over to Medium.com and chronicle your team’s journey over those 8 months. Introduce the problem, talk about how you had the idea because you follow the NBA and read the article on the 76ers, then go into the individual presentations your team gave (include screenshots of slides, get testimonials from your employees!). Publish the piece on Medium and ask your employees to leave a comment if they feel up to it. Then link to your post in your resume skills section. Accomplishment: Identified inefficiencies in a process that caused delayed response times, bandwidth constraints due to poor communication, and impacted the department’s bottom line. Resume Skills Project Idea: Create a slide deck. Open by highlighting the inefficiencies and the problems they were causing (use quantitative results!). Walk through the process you used to brainstorm solutions and how you implemented them. Discuss the challenges you faced and how you overcame them, how you got buy in from management, etc. 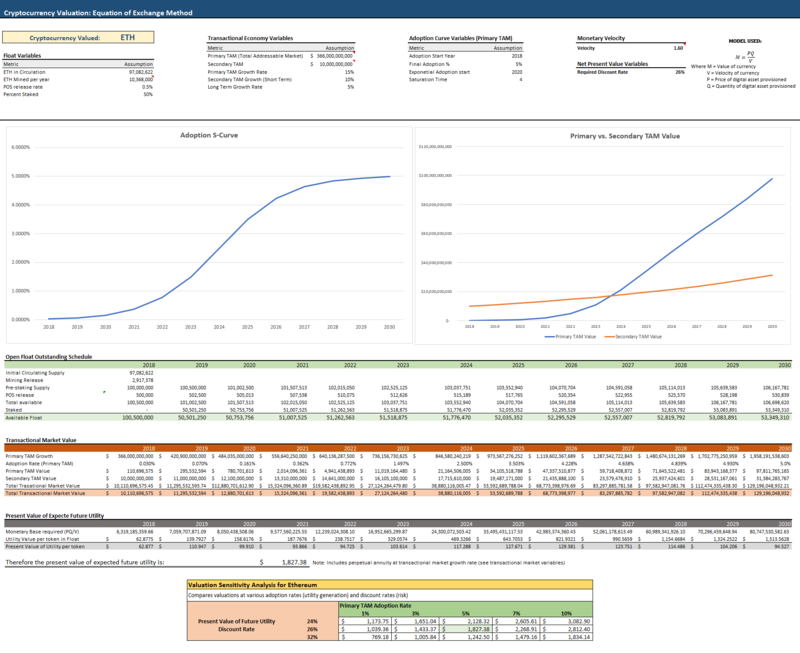 Finally, showcase the results that your ideas created (again, quantitative results are king). You don’t need to be some rockstar to leverage this strategy. 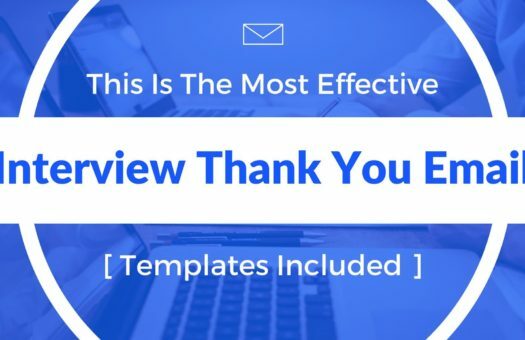 All you need to do is lean on your previous experience and package it up into something that’s well designed, easy to digest, and clearly conveys the value you bring to the table! Where Should You Put Your Skills On Your Resume? Now that we know what skills to add to our resume and how to leverage them to prove out our value, the only thing left to do is drop them in the right place. Weave your resume skills into all of the other aspects of your resume (especially your resume objective and work experience). 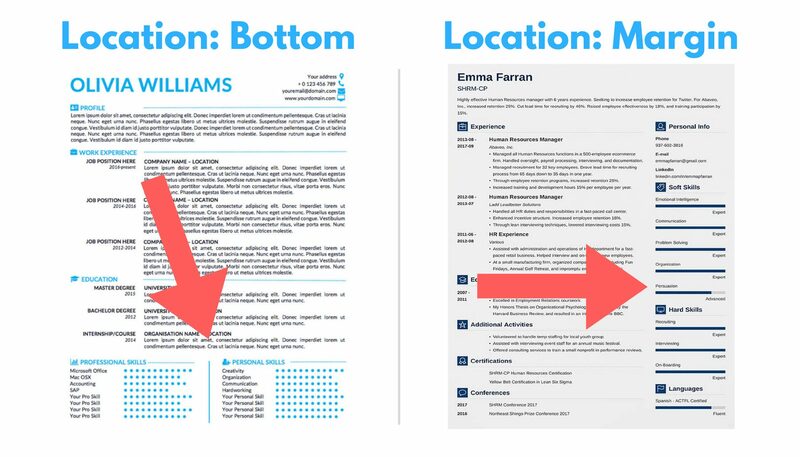 The placement in both of the examples above grabs attention, but doesn’t interfere with the other sections of the resume. If you decide to place your skills in one of the margins, it’s a good idea to add your contact info and social media profiles above or below it. It’s important to note that the skills section of your resume isn’t the only place you need to prove your worth. Recruiters are spending their six seconds scanning for skills, but they may not always be scanning the skills section itself. That’s why it’s so important to include the skills you identified from the exercises above into the rest of your resume. I always recommend leveraging a specific style of resume objective at the top of your resume as well as a specific format for your work experience, interests, and the other parts of your resume. That will create a cohesive message throughout as well as increase your chances of beating the applicant tracking software. We’re currently living in the most competitive job market history has ever seen. It’s time to ditch the old, outdated strategies that simply don’t work anymore. In 2019 we need to go above and beyond to stand out from the sea of competition.